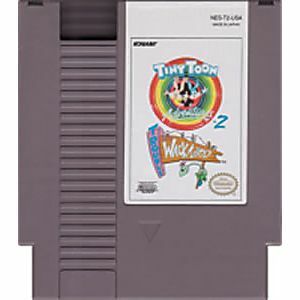 Tiny Toon Adventures 2 original NES Nintendo Game cartridge only - Cleaned Tested and Guaranteed to Work! 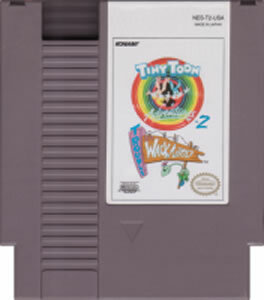 The first Tiny Toons game for nes was great,So I was like I have to get tiny toons 2.This is nothing like the first game,It takes part in a amusement park "wacky land " and you have tickets, each ride takes a different amount of tickets..The "Toons" characters are all there, each ride has a different character.. 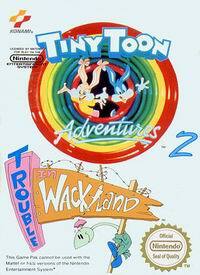 I was expecting an adventure game with stages and bosses and the end of them,but it's a different kind of adventure. this game does not compare to the first one but I still like it!! You can pick which level you want and each level has a different character that you play as. Probably the most fun is the bumper cars. It's a pretty tricky game, but it's pretty fun. I enjoy it and I think it's worth checking out.